I don't normally like the bulk of gift-with-purchases, they are often mass produced, cheaply made rubbish - but this is a gem of a find! 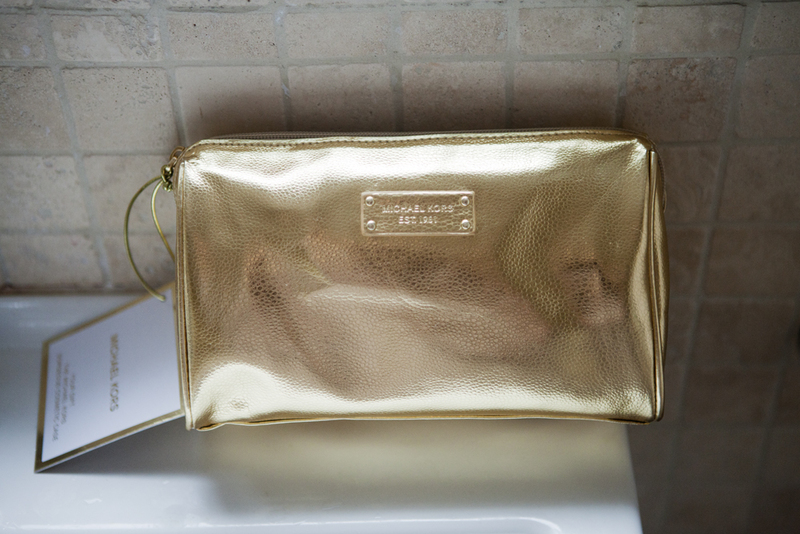 I was sent this gold make-up bag which is a free gift when you purchase any 50l Michael Kors fragrance. On the press-info they have called it a 'clutch' bag and I can see why - it's suh a fantastic size that I've managed to get all my make up in for a night out tonight, even my Naked palette! If someone one your Christmas list has a Micheal Kors perfume on their list, I'd consider getting it so you can keep this bag for yourself - for me, it's going to be so very useful. Love Michael Kors. A must for all tuberose lovers.